Could this mythical creature really be out there? The Mothman is a well-known figure in popular culture, even making it to the big screen in 2002 in a movie starring Richard Gere. It is described as a creature that looks largely like a man but with glistening, feathered wings. The mysterious creature has been part of West Virginia folklore since as early as 1914. However, many people aren’t aware of just how pervasive its history really is. 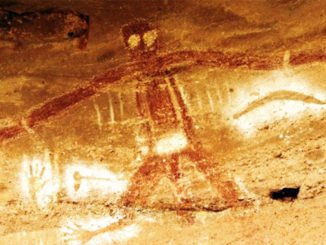 Most descriptions of the creature suggest that it is an entity that is some combination of man and bird with a wingspan of as much as 10 feet. Most people who have seen it note that it has glowing red eyes set far apart in its head. In many stories of the creature, it seems to be frightened of light, much like a common moth. Most who have seen the creature have done so at night or from far away, so it is always shrouded in darkness. The sight of a large, winged creature with glowing red eyes is terrifying, bringing to mind images of demons from hell. What is even more terrifying is the effect that the Mothman can have on those who encounter it. Being too close to the creature is said to cause confusion, extreme fear, and other psychological distress that can lead to insanity or even death. When in the air, the creature is fast. Some who have seen it claim that it flies upwards of 100 miles per hour. However, they are thankful to note that it is quite clumsy on foot, so it is possible to outrun it if you can force it to the ground. Some believe that the creature is the same as one who as known as “The Grinning Man,” a shadowy entity that grins eerily at those who see it. The Grinning Man is believed to be some sort of alien, and many believe that Mothman sightings often correlate with UFO activity. 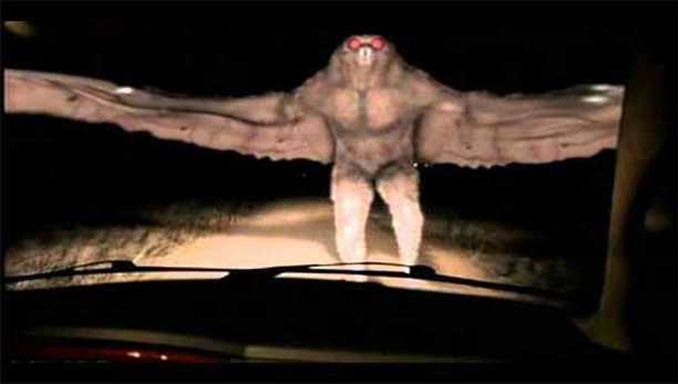 However, the Grinning Man is known for its ability to run at high speeds, which doesn’t fit with most accounts of the Mothman. 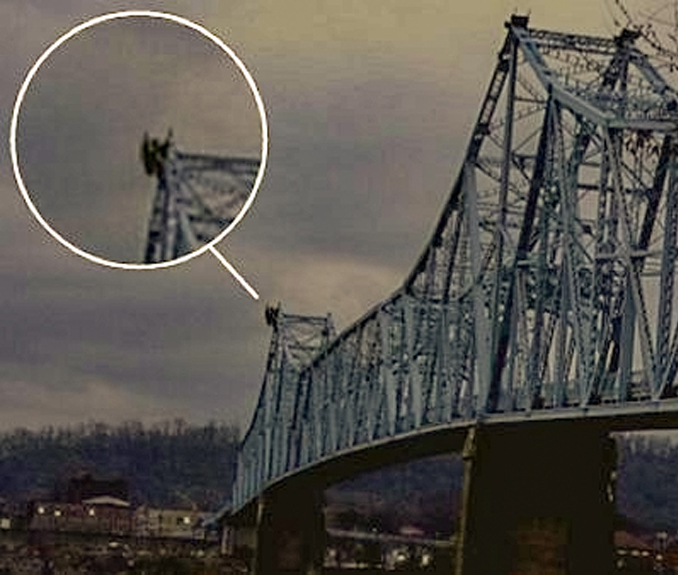 Although legends of the Mothman date back far earlier in the area of West Virginia that the creature calls home, it didn’t become truly famous until a string of sightings beginning in late 1966 that terrorized the area for over a year. 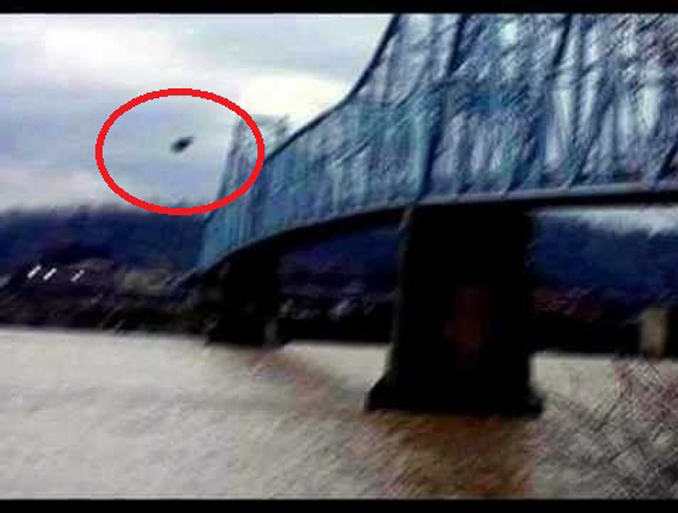 The first of the famous sightings of the mothman took place on November 12, 1966. 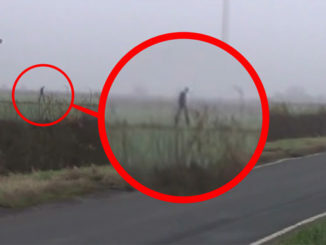 What is truly remarkable about this first sighting is that not one, not two, but five people were all present when the creature showed itself. All five tell the same story. They were working late at a cemetery near Clendenin, West Virginia digging a grave: the perfect setting for a monster sighting. As they worked, they were startled when a large, man-like creature swooped down over their heads. They didn’t get a close look at the creature, but they were terrified by its size and speed. Their frightening encounter set off a chain of sightings that would terrorize their West Virginia community for months. The next day in Salem, West Virginia, over 100 miles away from the first sighting, a man named Merle Partridge had his own terrifying encounter with the monster. This time, the creature did more than just frighten its witnesses. While Partridge was watching television, the audio suddenly began emitting a high-pitched screeching sound. Around the same time, his dog started wildly barking outside. When Partridge when out to investigate, he was horrified to discover a creature with glowing red eyes flying towards the woods. His dog chased the creature into the woods and was never seen again despite his owner’s careful search of the surrounding area. Two days later, on November 15, 1967, two young couples were driving together near Point Pleasant, West Virginia when the car’s headlights revealed what they described as a large, gray creature with glowing red eyes. They said it was like a “large flying man with ten-foot wings,” and claim that it chased their car for several miles before disappearing. Over the next few days, numerous other sightings were reported. 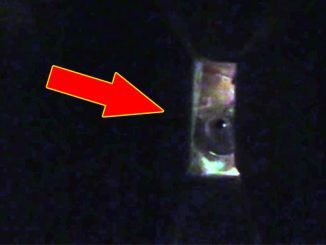 Volunteer firefighters claim to have seen a “large bird with red eyes.” A contractor pointed his flashlight at a similar creature and said that its eyes glowed “like bicycle reflectors.” He even claims that the creature made off with his dog. The sightings continued, and on December 15, 1967, a tragedy struck the area that, at first, appeared to be unrelated to the Mothman. The Silver Bridge, which connects Point Pleasant with the nearby city of Kanauga, Ohio, suddenly collapsed, killing 46 people. Later analysis showed a small crack that eventually corroded, damaging the structural integrity of the bridge. 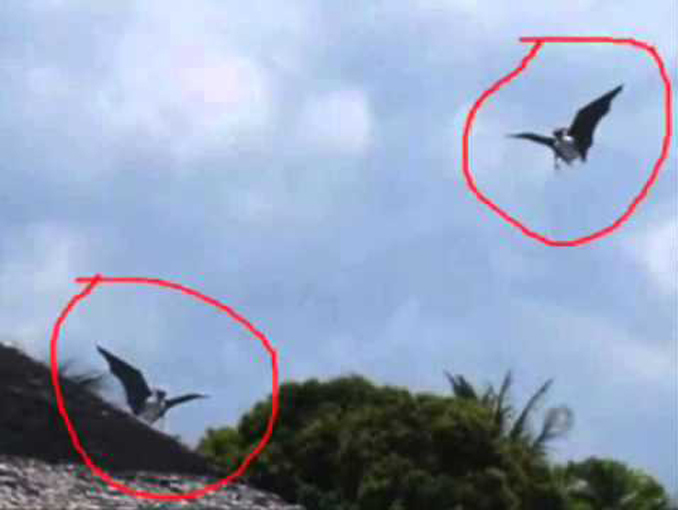 Although this appears to be a simple accident, many believe that the earlier sightings of the area’s winged cryptid were related to the disaster. However, instead of blaming the creature for the disaster, the locals began to believe that its appearances were meant to warn them. This led to the belief that Mothman sightings are an omen of tragedies to come. 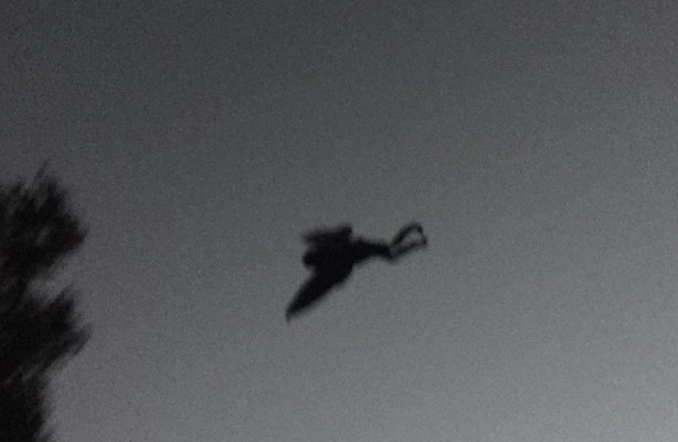 On September 10, 1978, West Virginia’s winged cryptid made an appearance far from home. A group of miners in Freiburg, Germany encountered a winged creature with glowing eyes in front of the mine’s exit. The creature let out a screech before flying away. 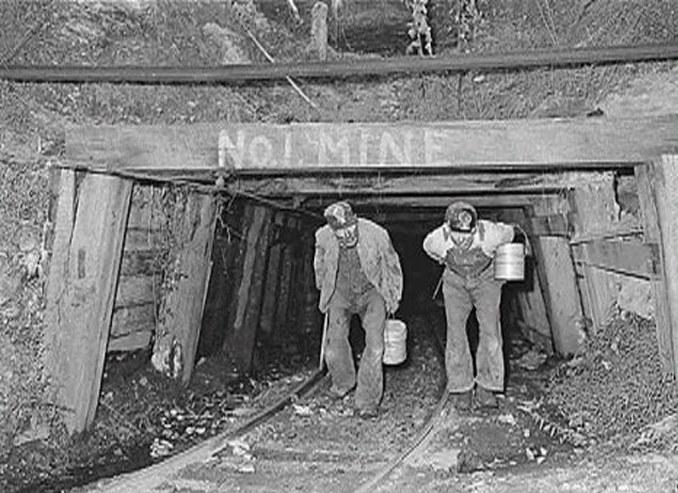 The men were terrified and quickly fled from the mine. An hour later, the mine collapsed. In September of 2006, the creature appeared in La Crosse, Wisconsin. 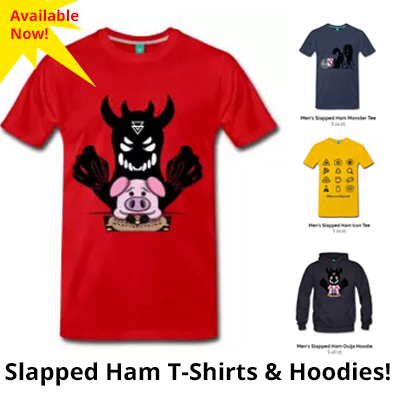 A man driving with his son down a deserted road claims that a fleshy, bat-like creature with sparse hair and red eyes attacked their car as they were driving. It let out a screech that gave the two vertigo and nausea, forcing them to pull over. 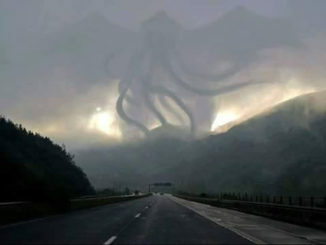 In 2016, a photo provided by an anonymous source was published by a television station in West Virginia. 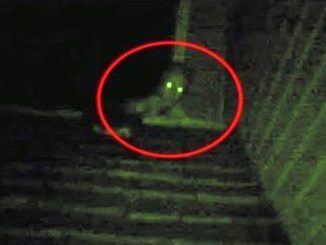 The man who submitted the photo claims that it was the creature. This is some footage that was allegedly filmed in Beijing, China more than a decade ago. The uploader claims it could be the elusive mothman flying through the night sky. In the footage you can see a glowing object flying through the sky. Whatever it is, it appears to be humanoid in shape. The creature is flapping a pair of giant wings as it glides through the air. Sadly the video quality is extremely low so opinions have been divided. 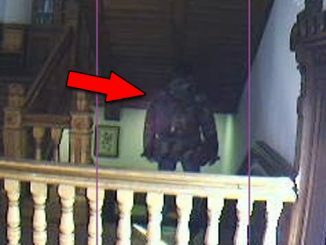 Some believed it to be footage of a doll house with a real moth hovering above it, others thought it was a bird or plane. 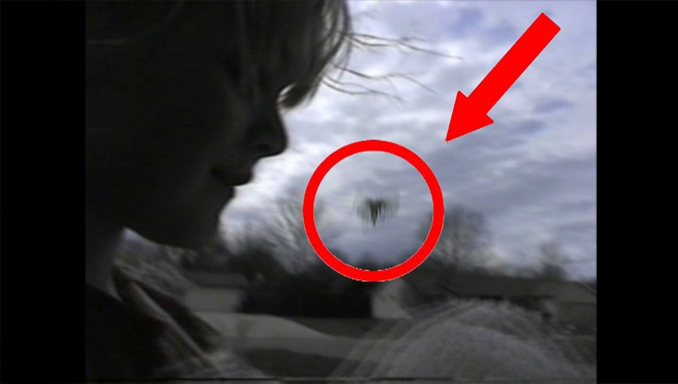 Some viewers however, thought the footage was real, calling it a genuine glimpse of the legendary mothman. Over the years, the Mothman has been linked to numerous disasters, leading many to believe that it is a harbinger of catastrophe. The first incidence of its omens dates back to 1926. People living near the Xiaon Te Dam in China reported seeing a winged man flying above the dam in the days before the dam collapsed, killing approximately 15,000 people. On April 26, 1986, one of the most devastating tragedies the world has ever seen became global news. The Chernobyl nuclear power plant experienced massive system failures that put the lives of millions of people in danger. The actual death toll for the accident and proceeding fallout ranges from 4,000 to 200,000. Could it have been avoided? Numerous people reported seeing a large, black, bird-like creature with red eyes flying around the plant on the day of the accident. The creature is said to have visited Russia again in 1999. Sightings of a winged creature were reported shortly before four apartment blocks were bombed in Buynaksk, Moscow, and Volgodonsk, killing 293 people. On September 11, 2001, the world was rocked by yet another devastating tragedy when several airplanes were hijacked and crashed into the World Trade Center in New York and the Pentagon building in Washington DC. The death toll for this tragedy was close to 3,000, and the consequences of this act are still felt today. However, many claim that the creature provided a warning on the day of the attack. 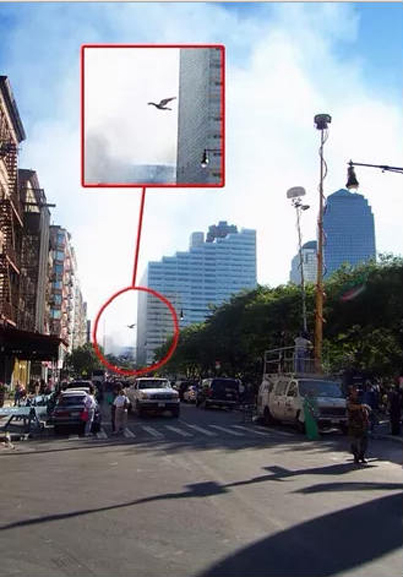 It was allegedly seen flying near the World Trade Center and some claim it was even flying parallel to one of the planes used in the attack. 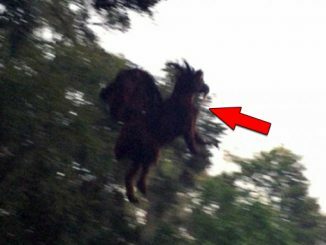 In 2007, the creature is said to have appeared in Minneapolis, Minnesota, flying around the I-35W Bridge. A month later, the bridge collapsed, killing 13 and injuring 145 people. 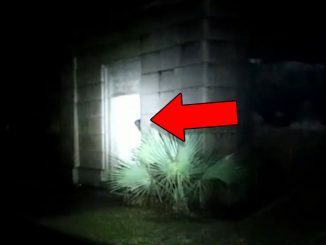 In March of 2009, two women in Mexico heard the creature’s telltale screech while walking in an apple orchard near a cemetery. A passerby chased the creature but was unable to catch a glimpse. Shortly after this sighting, a swine flu pandemic broke out in Mexico resulting in nearly 400 deaths. In 2011, it’s alleged the creature visited another nuclear power plant, this time in Ōkuma, Japan. Witnesses reported seeing a black, winged creature with red eyes swooping down on them near the plant. The creature’s presence filled them with dread. Days later, an earthquake rocked the area. The plant was damaged in the earthquake and released radioactive materials, resulting in 573 deaths. 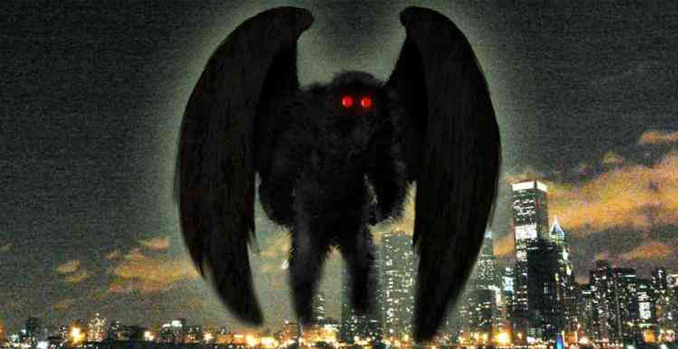 Some psychologists have noted that the Mothman bears a strong resemblance to archetypal depictions of demons that have long been a part of just about every culture on earth. They believe that the sightings of the creature can be explained away as the result of overactive imaginations projecting this common image onto something the person can’t explain. Others, such as Dr. Robert L. Smith, associate professor of wildlife biology at West Virginia University, believe that the creature is just a common bird. Some possibilities include large a heron or a sandhill crane. 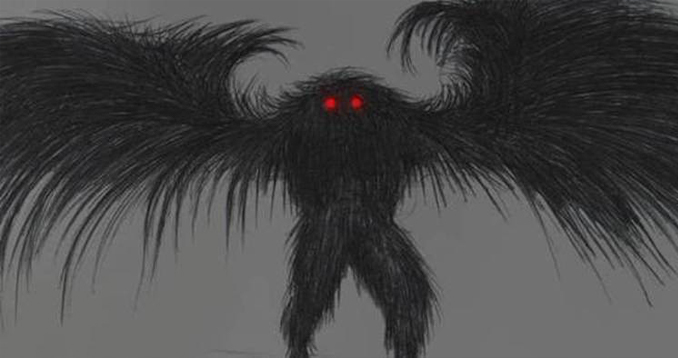 They state that the glowing red eyes that the creature bears could just be the result of light from other sources reflecting off the eyes of a bird. Is it possible that this creature that has gripped our collective imagination and fueled our nightmares since the 60s is just a product of our imaginations? Maybe. However, those who have seen it insist that the creature is something not of this world. After all, how could a simple bird accurately predict so many tragedies? We may never know the truth about this elusive creature.